The following creations are for purchase. All the items are for special order and you must allow two-five weeks for delivery. Everything is handmade by me and the paint will need to dry on some steps before I can proceed. When ordering you may request certain colors, et cetera and I will do my best to accommodate you. Payment must be received before I begin the creation. Any of the following products may be created with a pet besides a dog. These are all handmade and handpainted. I have combined my two talents to create these. Cost: $ 80.00 plus shipping. 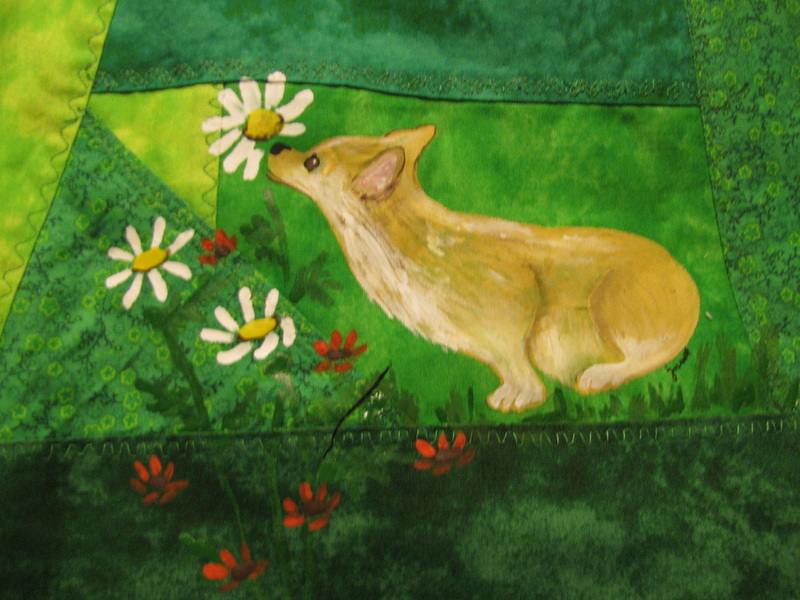 Each pillow has a handpainted dog in the center, quilted and with a two inch ruffle. You may specify the type of dog from one that is shown or ask for another dog breed, in which I will paint a 'generic' dog. If you want a custom order of your pet dog, please, send a good quality photo so that I can clearly see your pet. They are painted with acrylic paint and are hand washable. All pillows are stuffed with a pillow form that can be removed for washing. If you want specific colors, please, specify that also. If you prefer this to be in a 'crazy quilt' pattern or with no ruffle, just let me know. dps1. 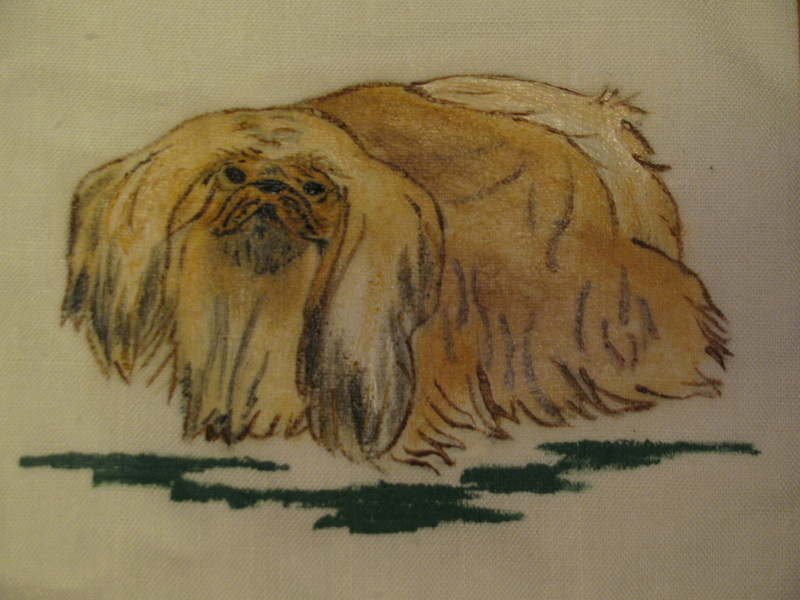 Example of the PILLOW SHAM- please specify dog breed and colors. See above info. POODLE- specify the color of your pet. 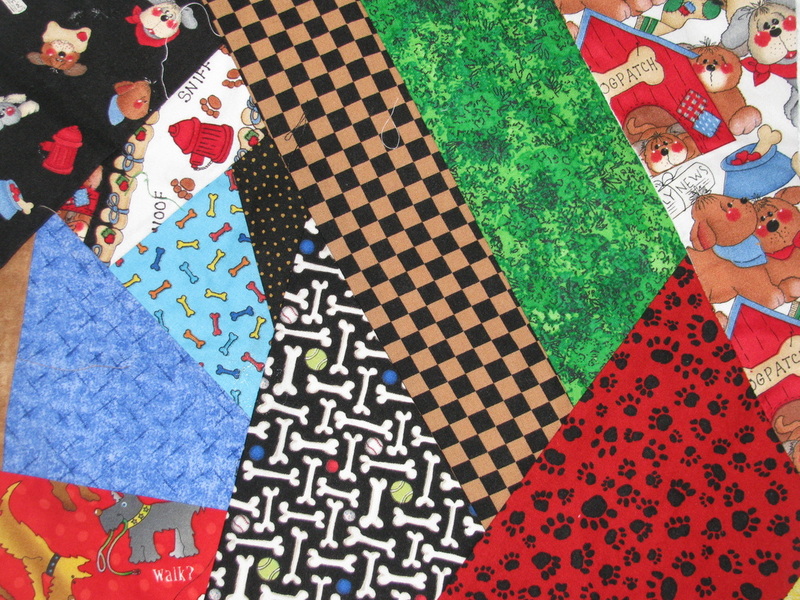 There are two types of quilted pillows- 1) crazy quilt 2) basic square. Cost: $ 65.00 plus shipping. 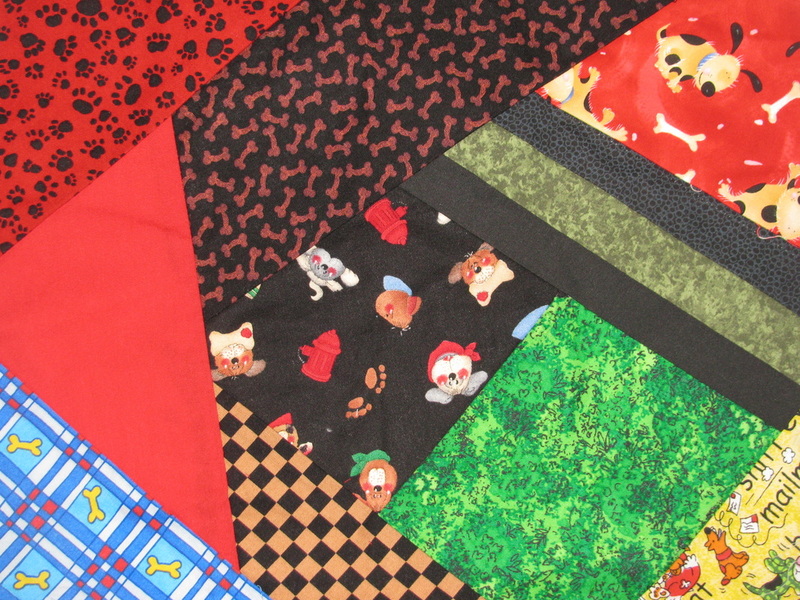 These are sewn with a variety of fabrics and colors. 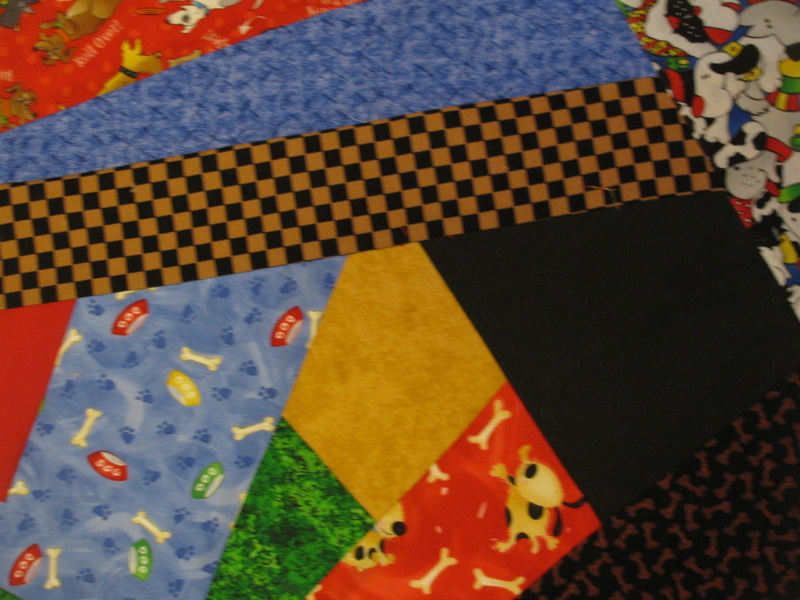 All will have fabrics associated with dogs. The colors and patterns will blend. If you want more of a specific color(s), please, let me know. There are decorative stitches on each of the seams. If you want any type of embellishments (buttons, braid, ribbon, et cetera), please, let me know and that can be added for an additional charge. These are sewn by myself so please allow two-five weeks for your order to be shipped, once your payment has cleared. I will keep you posted through email. cqdps. 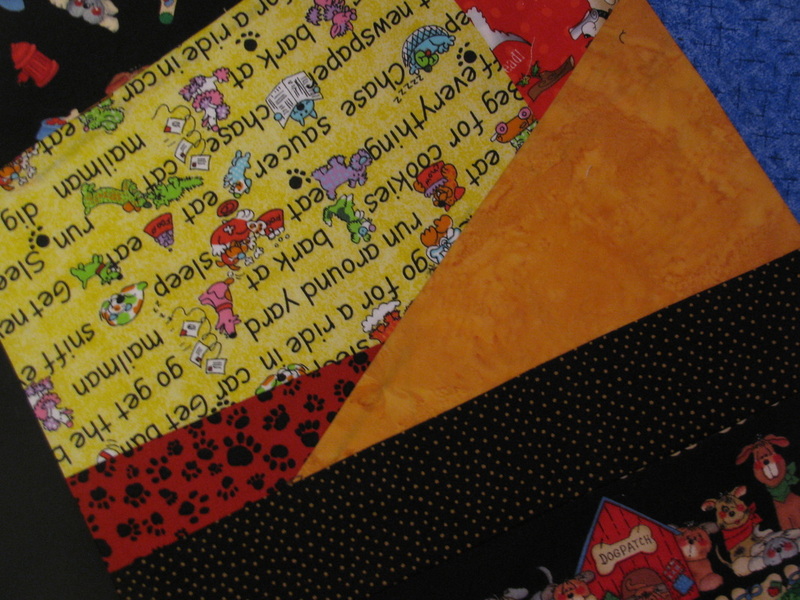 CRAZY QUILT pillow sham. bsqdps. 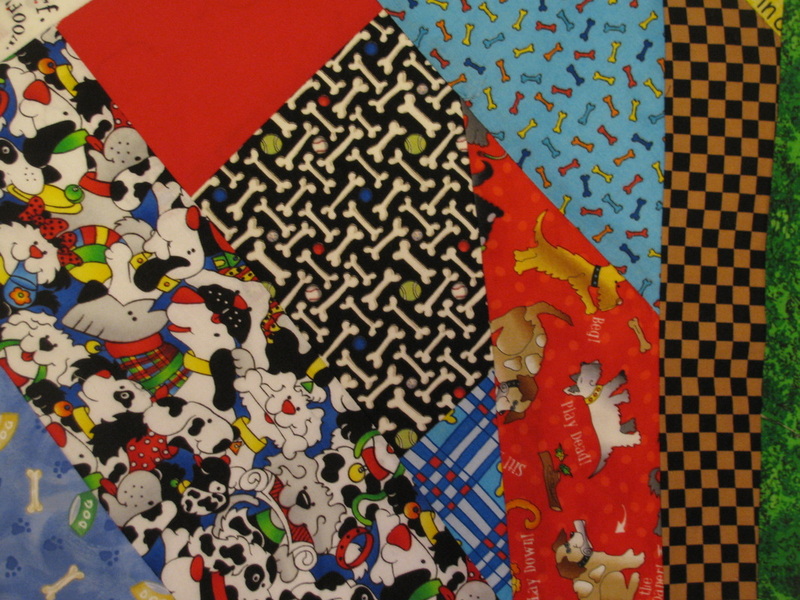 BASIC SQUARE QUILT pattern pillow sham. These are all handsewn and painted by myself. Cost: $ 85.00 plus shipping. 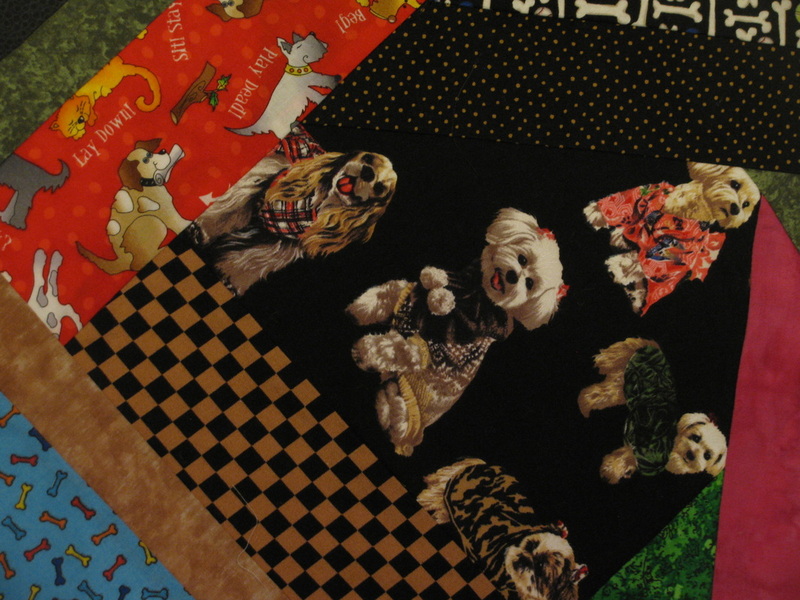 These purses are made of fabric with your pet painted on a square of fabric and then it is 'crazy' quilted before I sew the purse. Each one is also embellished with buttons, ribbon, braid or some other type of embellishment. 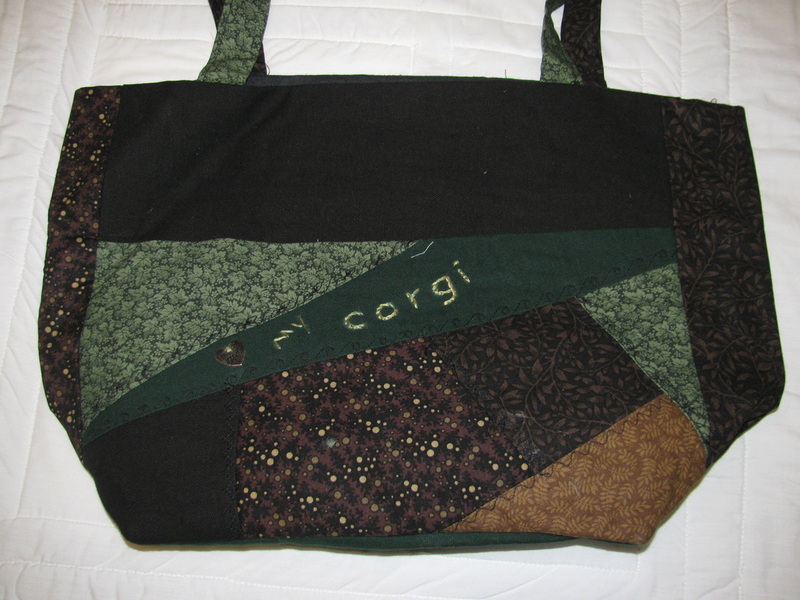 Please specify the colors, dog breed, other request about your purse. Please allow two-five weeks after payment for shipment. dpur1. 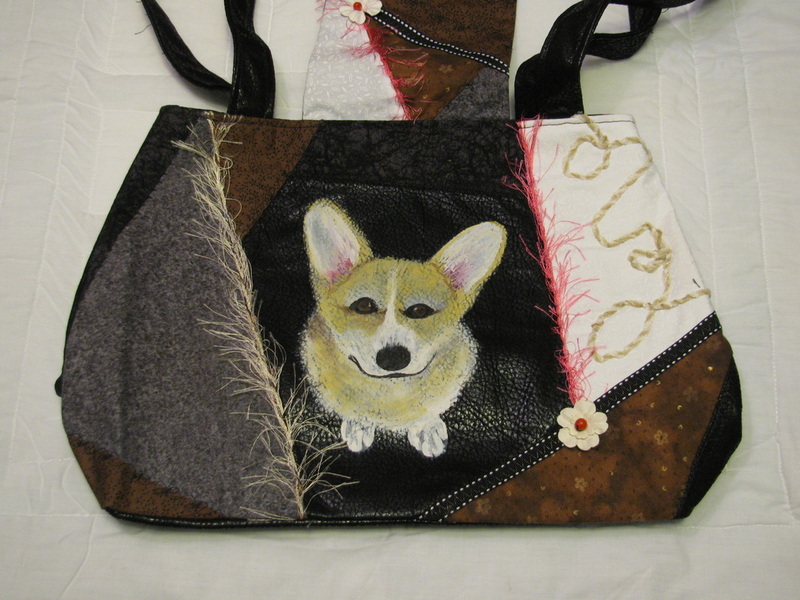 Crazy quilt PURSE with dog painted on front (this is a Corgi). Approximately 15"x12"x3"; straps 30". Lined. dpur2. Crazy quilt PURSE. Approximately 14.5"x 11" x 10"; 3.5" wide; straps 34". Has embellishments; flap; solid black back. dpur3. 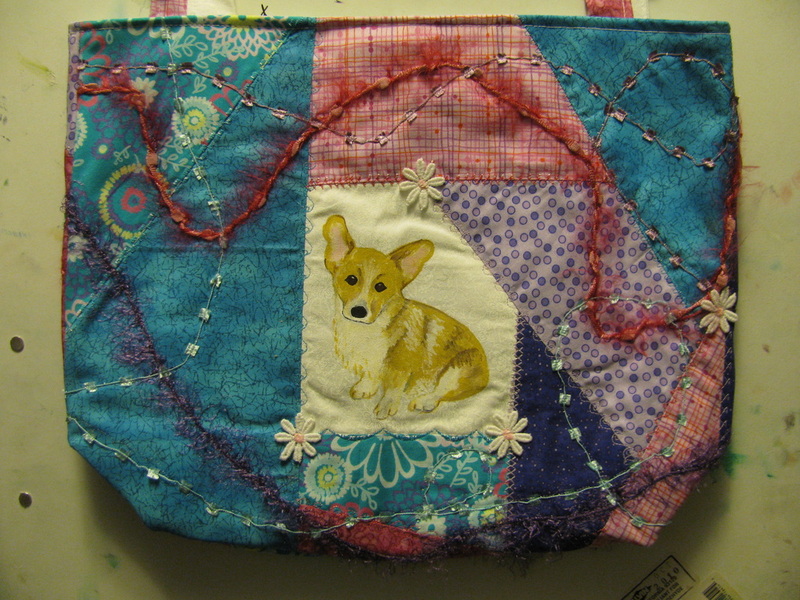 Crazy quilt PURSE. Approximately 19" x 10" x 5"; straps 34". Dog on front with flap in back. dpur4. 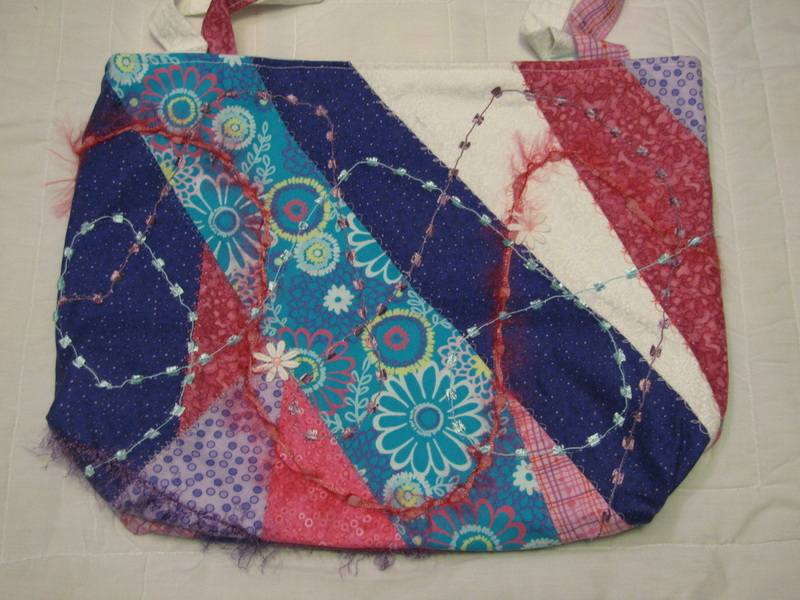 Crazy quilt PURSE. Approximately 18"x 11"x 6"; straps 30". Pocket on the back.